Om Mani Padme Hum Workshop. Over 2000 Advanced Energy Workshops for Physical and Spiritual Evolution. "Run For Your Life To Meet The Love Of Om Mani Padme Hum!" 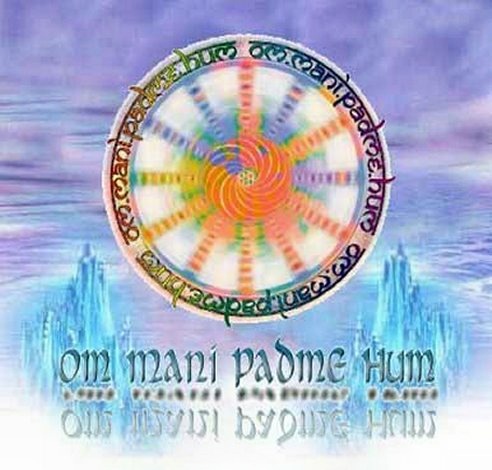 -Victor"
OM MANI PADME HUM workshop contains new frequencies of Om Man Pade Hum energy. The energies are designed to assist you in protecting your mind and body while promoting your spiritual advancement. You will receive wonderful Attunements for your spiritual unfoldment plus techniques. "Om" is the sound of central enlightenment. Mani Padme means "Jewel in the Lotus" male within the female, energy infusing wisdom. Hum is the sound of power, forcing the mantra into realization. After the Workshop, you will be able to activate the powerful energies of Om Mani Pade Hum and use every syllable to produce definite results plus your sixth chakra will be energized & expanded! 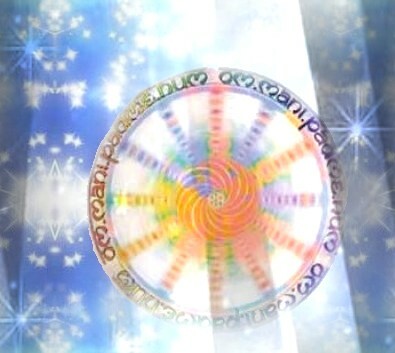 Colors of the Mantra Attunened for Divine Consciouness. Hello Victor, I have been wanting to write to you sooner. It has been very stressful at work. Usually when I meditate I relax but when I go to sleep sometimes I dream about all the stress. Since the Om Mani Pad Me Om Workshop, I sleep restful. It seems like I automatically go to the mountain top. The energy is as strong as anything I have ever felt without any side effect like some other energies that shake you up. Thank you-Frank. It is best to take Om Mani Padme Hum Workshop over the telephone (free anywhere in the world) to activate the Initiations and oral teachings (remote Attunements are also available). You will receive the Om Mani Padme Hum Workshop manual via Email, All Empowerments and a Printed certificate. Plus full email support is given before, during and after all my Workshops.